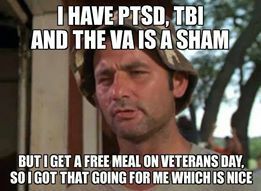 Approximately five years ago, I told Rambo about the free meals a chain restaurant was offering veterans. He thought it was a nice gesture and he began to do Internet research. He was impressed by the number of restaurants offering similar deals and began to discuss with his military buddies. By the following year, Rambo had organized a guy’s day out and a gluttony fest of epic proportions. The guys enjoyed several meals together well into the night. The tradition has continued for four years. Rambo calls it his Thanksgiving. Of the two of us, I am definitely much more social. Through my involvement with SambaFunk and my general passion for arts/dance events, I keep quite busy with gatherings and festivals. 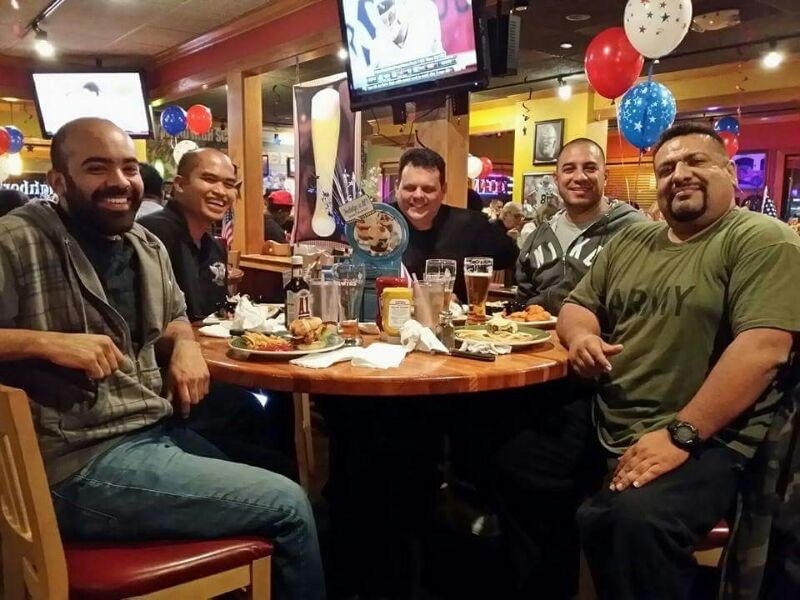 Rambo limits his social outings to the occasional MMA fight/boxing match viewing party with his military buddies. As the years have passed, he has become more comfortable socializing with civilians. He won’t head out for happy hour or guys’ night. He prefers to stay home or sometimes take part in extended family events. But his Thanksgiving is something he anticipates with the same enthusiasm I show in preparing for my annual Oscar party. Now you might think it’s wrong for these guys to take advantage of these companies’ generosity. I applaud these companies. Rambo and his friends have grappled with mental illnesses, financial woes, housing problems, physical ailments, employment challenges, and family drama in the decades since coming home from Iraq and Afghanistan. Many have beaten the odds and battled their demons to now enjoy retirement or second (or third or fourth ) careers and relatively good health. They continue to mourn the brothers who don’t make it; I have lost count of the number of buddies Rambo has lost to suicide. No dollar amount from T.G.I.Fridays, Hooters or Olive Garden can truly compensate for what these men and women endured.